year, a government statement said yesterday. Interior Ministry’s department of public order. The number of accidents also increased from 425 in November last year to 494 last month, he said. drivers’ propensity to drive too fast. “Ninety percent of the traffic accidents are caused by human errors. They are [the result of] negligence,” he said. “Increasing traffic has also trigged more accidents”, he said. 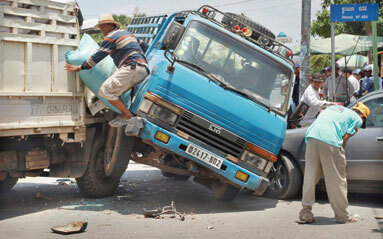 Phnom Penh, also played a role in this year’s spike in accidents. Belgium, said respect for traffic laws in Cambodia remains limited. She said that a significant number of accidents are alcohol-related.